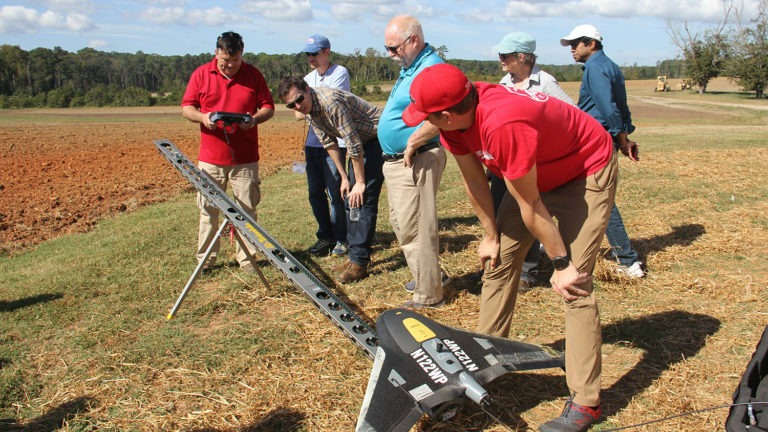 We are also building a campus-wide community of practitioners, scholars and educators from across NC State University to share knowledge about and from UAS. Keep scrolling to learn about our programs, including our popular UAS Operations and Analytics workshop. Data collection methods using Unmanned Aerial Systems are rapidly expanding possibilities for terrain analysis. We develop and apply the latest techniques to improve spatial understanding. Agricultural areas are characterized by frequent changes in microtopography that influence the surface water flow. 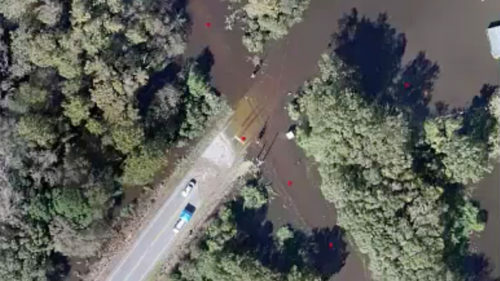 We used a small UAS (sUAS) with a consumer-grade camera, and Structure from Motion (SfM) algorithms deriving 3-D data from RGB imagery, to track changes in surface water flow in an agricultural field in Raleigh, NC. By comparing a time series of five flights over seven months with the results of a simulation based on the most recent lidar-derived digital elevation model, we show that the sUAS-based data is suitable for overland flow predictions and has several advantages over the lidar data. NCDOT uses a Wetland Predictive Modeling tool to help identify the location and extent of wetlands along potential road corridors. 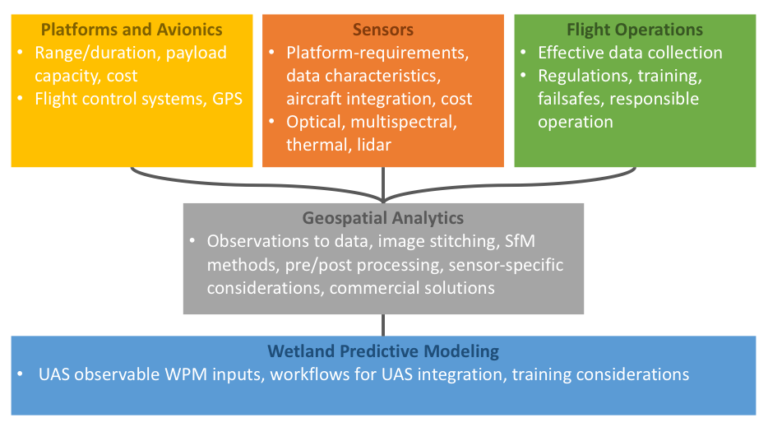 In collaboration with department staff, we are exploring possibilities for using UAS-acquired data to increase model accuracy, thus reducing the cost and improving the outcome of road planning projects and wetland protection. UAS are useful for updating digital elevation models (DEMs) with higher-resolution data at low cost, but differences in spatial coverage and levels of detail can create gaps in the boundaries along newly mapped areas, generating problematic artifacts in outputs that rely on the DEM. To generate a seamless updated DEM, we propose a generalized approach to DEM fusion with a smooth transition while preserving important topographic features. We demonstrate the method in two case studies exploring the effects of DEM fusion on water flow modeling in the context of precision agriculture. 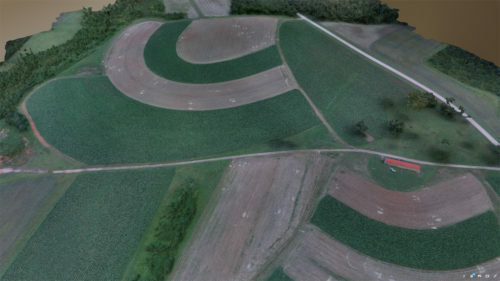 In the first case study, we update a lidar-based DEM with a fused set of two digital surface models (DSMs) derived from imagery acquired by UAS. 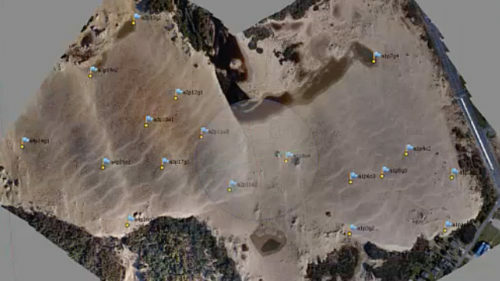 In the second application, developed for a tangible geospatial interface, we fuse a georeferenced, physical sand model continuously scanned by a Kinect sensor with a lidar-based DEM of the surrounding watershed. A team from the City of Raleigh, North Carolina State University, and the North Carolina Next Generation Network are working to develop a framework for producing high-resolution 3-D data that can be used to generate GIS base layers in hours rather than days. 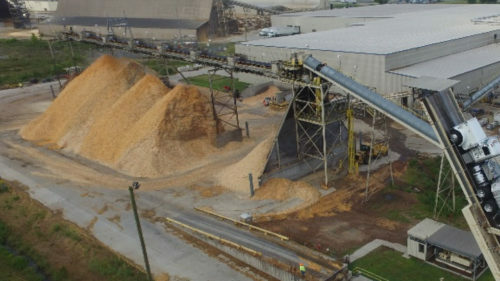 The project investigates the feasibility of deploying small UAS equipped with high-resolution cameras or lidar sensors to quickly and economically collect custom data in targeted areas, such as sites of ongoing or recently completed construction, post-storm floodplains or park renovation sites. 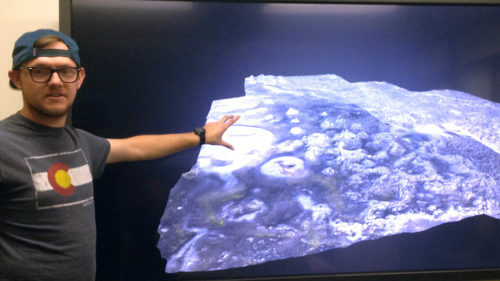 Unmanned Aerial Systems are revolutionizing data collection in the geospatial sciences. We keep students and professionals at the cutting edge of emerging technology and analysis. Already a student at NC State? 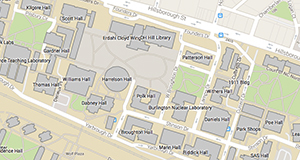 Enroll in the special topics course “UAS Mapping for 3D Modeling,” co-taught by the center’s associate director of geovisualization Helena Mitasova (professor in the Department of Marine, Earth and Atmospheric Sciences) and research associate Justyna Jeziorska. 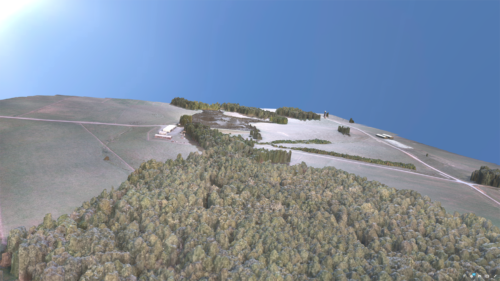 Learn how to collect data with UAS, process 3-D point clouds, and create terrain models. Understand how to visualize time series data from UAV-based lidar and experience hands-on training in the field and lab. Each student conducts an independent project, innovating a new solution to a research problem in their field of study. Have a drone or plan to purchase one? Have drone data but aren’t sure how to use them? 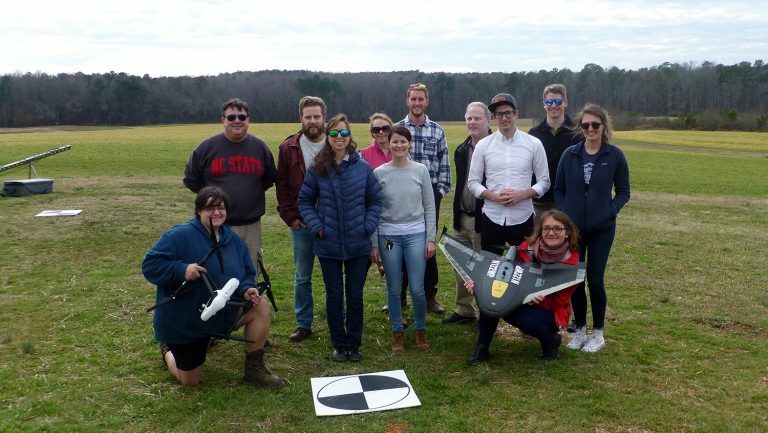 Learn how to buy, fly and use a drone at a UAS Operations and Analytics Workshop, offered each fall and spring at NC State and co-sponsored by the Center for Geospatial Analytics and NC State’s NextGen Air Transportation (NGAT). The three-day workshop is co-taught by Justyna Jeziorska and Thomas Zajkowski, flight operations manager at NGAT. Gain skills ranging from UAS operation basics to advanced imagery processing. Sample data, software and workstations are provided. Unable to attend a scheduled workshop at NC State? We can come to you! Contact Justyna Jeziorska to arrange a three-day workshop, one-day training or half-day imagery processing crash course at your location. Winner of a 2018 NASA/NC Space Grant Graduate Research Fellowship, incoming Geospatial Analytics Ph.D. student Kellyn Montgomery is launching an innovative study of crop health to jumpstart her doctoral work. Looking for opportunities to expand your expertise in Unmanned Aerial Systems? Find what you're searching for with the Center for Geospatial Analytics’ graduate courses, workshops, and UAS research programs. Research associate Justyna Jeziorska contributes significantly to Unmanned Aerial Systems research and teaching at the Center for Geospatial Analytics and is the center’s first certified UAS Mapping Scientist.